"Rosi" face, grey glass eyes, mohair and human hair brown hair wig. Unique, made to order special edition outfit exclusive to My Doll Best Friend. Limitation of between 2 and 10 worldwide. 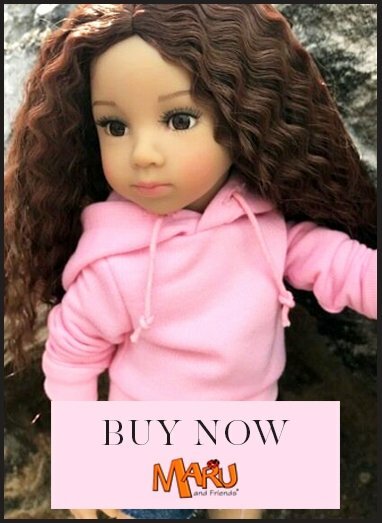 This beautiful customised doll is made by Schildkrot in Rauenstein, Germany. The dolls are named "Wichtel" dolls which translates to "elves" - 'balm for the soul' is how they are often referred. The vinyl is completely hard phthalate free vinyl. There are 5 fully articulated joints. Limited chance to buy a customised Wichtel doll by Schildkrot.